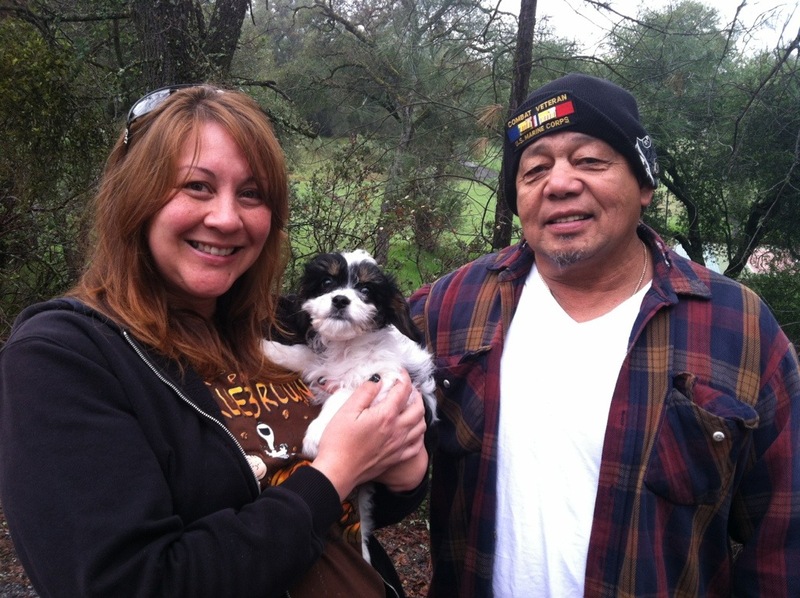 Willie arrived with his new family Thursday. He was a perfect trooper traveling down to CA with us in the car. I’ll post more about that soon. Here he is with his new family. He is the Tri male pup from Maggie & Pujo’s litter. This entry was posted in Adopted Puppies, Cavachon, Delivery, Maggie, Pujo, Tri. Bookmark the permalink.